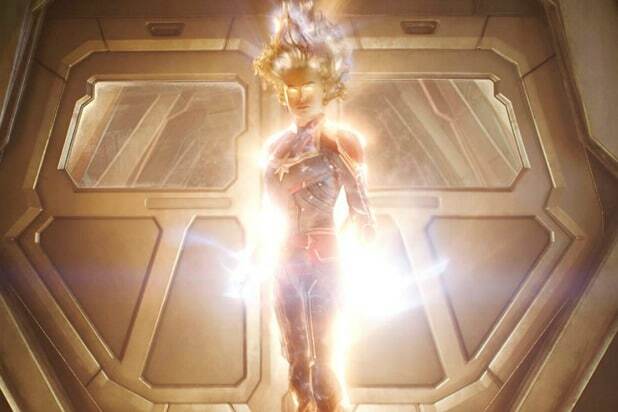 Marvel Studios’ “Captain Marvel” continues to fly high in its second weekend at the box office, as it is estimated to earn $70 million from domestic receipts after making $19 million on Friday. While that weekend total would signify a higher drop-off than “Black Panther” — 54 percent compared to 44 percent for the 2018 hit — a $70 million result would be the second-highest second weekend total in March box office history, sitting only behind the “Beauty and the Beast” remake’s $90 million take in 2017. With this result, the 10-day domestic total for “Captain Marvel” will rise to $266 million. In second and third are this weekend’s new releases, Paramount’s “Wonder Park” and CBS Films/Lionsgate’s “Five Feet Apart,” respectively. “Wonder Park” has an estimated $17 million opening from 3,838 screens, slightly better than the $10-14 million start expected by trackers. The animated film, which cost as much as $100 million, faced a tumultuous production that included the firing of director Dylan Brown in January 2018 following sexual misconduct accusations. Now that it’s in theaters, critics panned it with a 28 percent Rotten Tomatoes score, while audiences gave the film a B+ on CinemaScore. “Five Feet Apart” is also beating tracker expectations with an estimated $13 million opening from 2,803 screens, higher than projections of a $7-10 million launch. Made on a $7 million budget, the romance story received mixed review with a 54 percent Rotten Tomatoes score, but won over female audiences with an A on CinemaScore. Universal/DreamWorks Animation’s “How to Train Your Dragon: The Hidden World” is in fourth with $9.4 million, bringing its total to $135 million after four weekends. Lionsgate’s “A Madea Family Funeral” completes the top five with $8 million and a $59 million total after three weekends. Lionsgate is also releasing the Pantelion film “No Manches Frida 2” on 472 screens this weekend, and is estimated to match the opening of the first “No Manches Frida” with a $4 million start and an A on CinemaScore. Also opening outside the Top 5 is the Participant Media/Amblin sci-fi production “Captive State,” which is opening to $3 million from 2,548 screens and got a C- from CinemaScore polls. The coming week should see “Captain Marvel” reach $1 billion worldwide while Universal/Monkeypaw’s “Us” hits theaters after earning critical acclaim at SXSW. Jordan Peele’s “Get Out” follow-up is projected to earn an opening weekend of at least $40 million.